Self-esteem is all about how an individual measures self. It is all about appreciating oneself, irrespective of the flaws and faults present in the personality. Low self-esteem will not allow a person to gratefully acknowledge the weaknesses and strengths and move forward in life. Thus, it is essential to improve self-esteem and positive outlook towards life. There are many ways to improve self-esteem. However, exercise is the best way to improve self-worth. Following a regular exercise regime results in remarkable improvement in self-worth and improves the overall quality of life. How exercise helps improve self-esteem and overall well being? There is a definite link between exercise and self-esteem. This self-evaluation increases gradually when an individual follows a regular exercise regime and exercise certainly helps to deviate from day to day problems. Concentration shifts from day to day problems and stress towards the exercise session and as soon as concentration shifts, mood enhances. One feels better about overall physical well being which includes physique and physical capabilities – Exercise boosts confidence! It changes the perception towards outlook of life and to enjoy a sense of achievement. Accomplishments and achievements improve mental health. In this way, exercise can help improve self-esteem as it represents the physical health and overall well being. The physical exercises below help to improve self-esteem and overall mental health. Anxiety plays a significant role in lowering self-esteem. Lift weights to get rid of anxiousness. When an individual starts lifting more weight, it is seen that capacity keeps increasing day by day. Gradually keep adding weight to the barbell for an impressive bench press and see the improvement in self-esteem. Aerobic exercises improve the positive attitude of an individual. They decrease the depressive symptoms and improve self-esteem. Exercise helps improve physical fitness. As a result, all the complaints related to physical health get relived. Indulge in any aerobic exercise such as walking, jogging, running, swimming, and biking and many others to see the remarkable improvement in a short time. Tai Chi significantly improves an individual’s self-worth. Tai Chi improves the mental outlook towards life and boosts confidence. It increases balance in life. Creating a perfect balance is essential to improve self-esteem. Low self-esteem is the result of disorientation in life. Tai Chi brings back the balance in life. It helps improve self-worth. Yoga postures provide a quick access to lots of energy. The increased amount of energy increases the confidence. Increased confidence changes the outlook of an individual. Thus, yoga is known to have a psychological impact on an individual. There are many yoga poses which enhance the self-esteem. Some of them are an upward salute, tree pose, and eagle pose. Competitiveness increases self-esteem. What can be a better way to be competitive than to indulge in various physical exercises which help to know the capabilities and strengths. The more an individual betters physically more attractive will be the mental outlook. 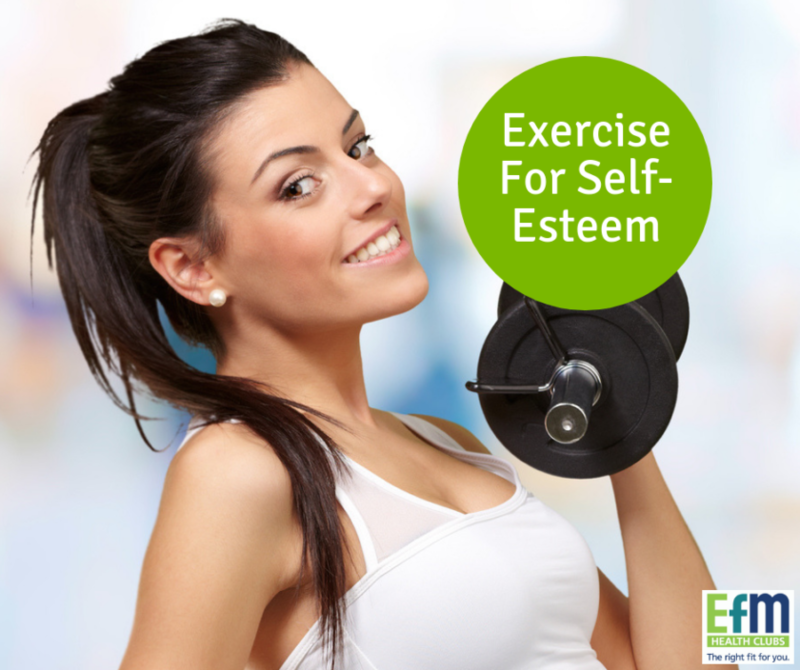 To improve self-esteem following a regular exercise regime is the best option. One can choose any favourite activity and stick to the schedule planned. Various exercises such as yoga, Tai Chi, bicycling, walking, jogging, running, swimming, weight lifting improve self-esteem. They assist an individual to become faster, stronger and better over time. 5 Ways To Prevent Back Pain!